Still, in other ways, these models are rather distinct. Which of these Toyota crossover SUVs is best suited for your driving needs? Find out with this guide, and then finance a Toyota crossover from our dealership in Miami! Toyota C-HR – The C-HR is powered by a 2.0L four-cylinder engine that generates 144 hp and 139 lb-ft of torque. It comes with a rigid, sport-tuned suspension that delivers surprising response for a crossover, and it’s capable of getting an EPA-estimated 31 mpg highway and 27 mpg city. 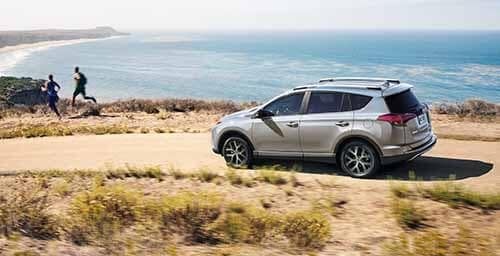 Toyota RAV4 – The RAV4 gets its power from a 2.5L inline-four that makes 176 hp and 172 lb-ft of torque. It’s also offered with the dynamic capabilities of an all-wheel drive (AWD) system and can get up to 30 mpg highway and 23 mpg city, according to the EPA. 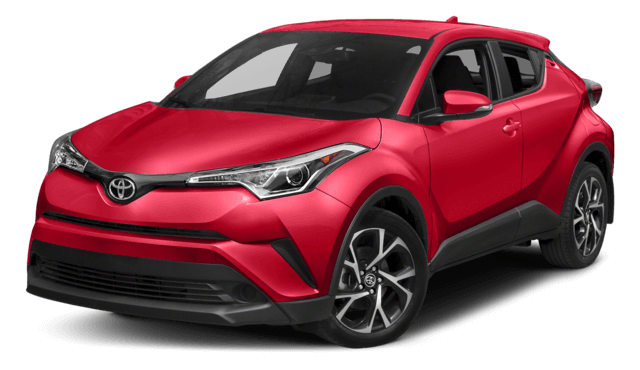 Classified as a subcompact crossover SUV, the 2018 Toyota C-HR has a max seating capacity of five and a total interior volume of 102.8 cubic feet. 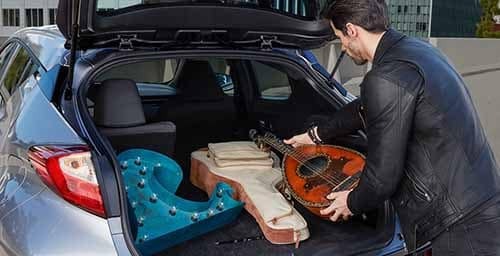 You’ll have 19.0 cubic feet of space to work with behind the rear seat, along with a max cargo volume of 36.4 cubic feet. Its smaller size makes it ideal for maneuvering through busy Miami streets. 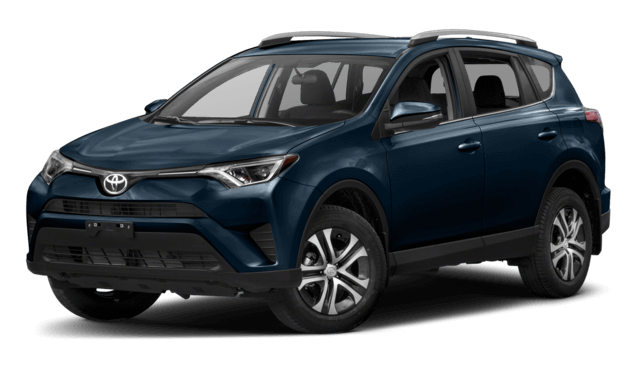 The 2018 Toyota RAV4 is a compact crossover SUV that features a bit more room for its five passengers to stretch out inside the cabin with a total interior volume of 140.3 cubic feet. That includes 38.4 cubic feet of cargo space in back and a max cargo volume of 73.4 cubic feet. 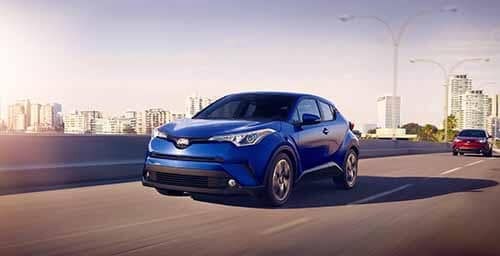 The Toyota C-HR and Toyota RAV4 are both waiting for you to test drive them here at Toyota of North Miami! Browse our extensive inventory of Toyota SUVs and trucks, and count on our team to help you find the right Toyota crossover for your needs and budget. See why so many people buy from us, and then contact us to schedule your test drive!